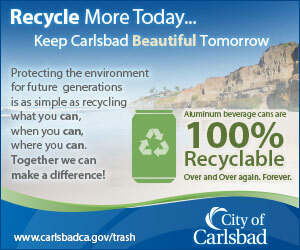 CARLSBAD — Carlsbad residents love their open space, although not all of it is publicly accessible. Box Canyon in southeast Carlsbad draws teenagers and young adults thanks to its large pond at the bottom of the canyon. The canyon isn’t legally accessible to those wishing to swim and cliff jump and has created a problem for residents in the nearby Sea Point Tennis Club. 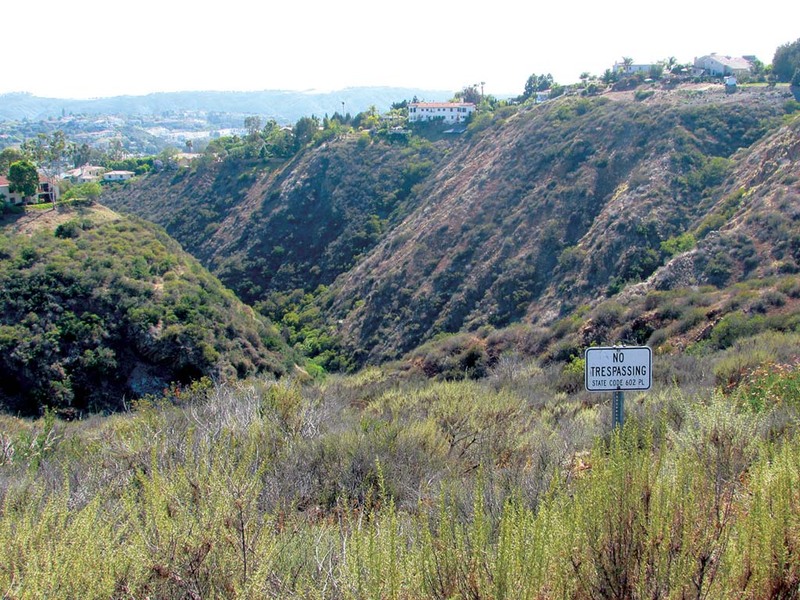 “As residents, we live right on the canyon itself and it’s a terrible problem,” Sea Point Village Tennis Club resident Terry Wilson told the City Council in April. “We’re all senior citizens up there and many of us are single widows that live alone so our security is very important to us,” Wilson said. The canyon is owned by the Center for Natural Lands Management (CNLM) and is patrolled daily in the summer time. CNLM Area Manager Marcus Spiegelberg said the warmer the weather, the more people there are that try to trespass. “Unfortunately, with the warm weather this spring and record temperatures, we had a lot of out of season problems and trespassing so that’s one of the reasons these people have been complaining,” Spiegelberg said. He also believes the new developments in the surrounding area have caused more people to trespass. “It’s always been an issue but certainly the higher density of people in the area and with all the development, we had a big increase between five and 10 years ago,” Spiegelberg said. There is a trail on the ridgeline that is publicly accessible. One entry point is off El Fuerte Street, called The Ridgeline Trail. However, people that go off into the canyon can face a $250 citation. Spiegelberg said during an extremely busy summer, they may see up to 350 trespassers. Over the last two months, the Carlsbad Police Department has patrolled the area on motorcycles to prevent problems during the summer and to learn what type of illegal activity, if any was happening. Lt. Mickey Williams said they didn’t find any homeless encampments or narcotics activity. “We found it to be primarily law-abiding people enjoying the preserve area,” Williams said of those sticking to the trail. Spiegelberg said the reason the pond and canyon are closed to the public is because it’s dangerous. “Anyone cliff-jumping can hit anything that’s under water, rocks, an old truck, that’s why it’s really dangerous and that’s why we try to keep them out of there,” Spiegelberg said. Over the decades, the site has been used to illegally dump cars. Some rotting vehicles in the canyon are from the ‘40s and ‘50s. There is a rumor that there is an old Volkswagen bus, which Spiegelberg said is partially true. “Five years ago, someone tried to dump his VW Jetta (to collect insurance money) and it’s still at the bottom because we can’t get it out,” Spiegelberg said. No tow trucks have cables long enough so the only way to remove the car would be with a helicopter, which Spiegelberg said is too expensive. “It’s just sitting there rotting at the bottom of the canyon,” Spiegelberg said. Over the summer, CNLM will have rangers patrolling every day. For more information on accessing the trail, visit the Rancho La Costa Preserve page on cnlm.org.